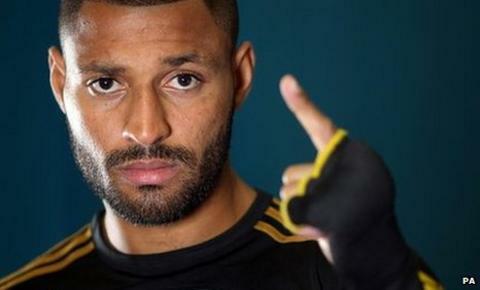 Sheffield welterweight Kell Brook will fight British rival Matthew Hatton ahead of a possible world title shot. The pair, Britain's top two in their division, are set to go head-to-head in Brook's home town on 17 March. Brook, who sits in the top ten world rankings of alll four major governing bodies, impressed on his US debut, beating Puerto Rico's Luis Galarza. "I know that by putting [Hatton] out of the equation, it gives me a clearer run at the title," said 25-year-old Brook. "This is a fight I've wanted for a long time and to get it at the Sheffield Arena means the world to me. "I know I'm comfortably the best welterweight in Britain and I'm going to put in a devastating performance on 17 March to show the world just that." The fight represents an impressive landmark for 30-year-old Hatton, who will fight for the 50th time in his professional career when he faces Brook. The Manchester man, younger brother of former dual-weight world champion Ricky, has previously held the European and Commonwealth welterweight titles. In 2011, Hatton was beaten by Mexican starlet Saul Alvarez when challenging for the vacant WBC light-middleweight title. "It has irritated me a little bit that people regard Kell as the number one in Britain," he said. "I've been European champion and was undefeated at that level. "It's like being told you are not even the best at school even though you are the best in Europe, so finally one of us is going to be able to say that they are number one." Brook's promoter Eddie Hearn added: "It's perfect timing for both fighters and a massive night for British boxing. "I want to bring the glory days back to British boxing. You need fights and events that will capture the public's imagination. This is just the start of what we want to do in 2012."